It’s a simple gaming app, but industry experts say Pokemon Go’s surge in popularity is proof that consumers are well and truly augmented reality (AR)-ready – so expect a lot of imitators. New data from SimlarWeb released this week shows Pokemon Go is on track to overtake Twitter in its daily active users, and has already been installed on more US Android phones than Tinder. While the app is only officially available in the US, Australia and New Zealand, uptake has already been exponential. In fact, only two days after the app’s release, it was already installed on 5.16 per cent of all Android devices across the States. About 60 per cent of those who have downloaded the app are using it daily. This amounts to roughly 3 per cent of all US Android users, already catching up to the 3.5 per cent US Android Twitter user average. And with the data showing the app’s popularity set to rise, Pokemon Go could quickly overtake Twitter. According to top gaming and AR experts, such a successful integration of AR shows that if the technology is launched well, it can have powerful implications for consumer engagement. While augmented reality has been toyed with in recent years, Pokemon Go is helping this technology finally go mainstream with graphic quality and user experience design the industry hasn’t seen before. For other businesses, it’s time to realise the experience bar has been raised, Merrick said. Interactive Games and Entertainment Association (IGEA) CEO, Ron Curry, described Pokémon Go as the perfect storm of technology, nostalgia and public acceptance. The icing on the cake for Pokemon Go, Merrick continued, is being able to tap into an entire generation of highly digitally savvy mobile users who already have an emotional connection to the Pokemon franchise. CEO of Australia’s first listed mobile gaming company, Animoca Brands, Robby Yung, saw the app as the ‘Angry Birds’ moment for AR and geotagging. While AR won’t become the norm overnight, experts agree consumers will want more of this level of customer engagement and noted social media giants like Twitter and Facebook are already acting fast in adopting the technology’s offerings. Creative technologist and head of Asia Pacific at Zappar, David Francis, pointed out Twitter has just hired a new head of AR. Facebook, meanwhile, is already one of the world's biggest acquirers of AR companies. “They are not just thinking about it, they are razor-focused on it,” Francis claimed. “Mark Zuckerberg never omits mentioning AR beside VR as the next stage of Facebook's evolution. Of course, Snapchat's $150m acquisition of a Ukrainian AR company to create its new AR 'filters' has more than paid off. Amobee's A/NZ sales director, Henrik Isaakson, said the industry has only seen the tip of the iceberg when it comes to AR. “Even stronger economic forces will get behind technologies like this, which will result in bridging the gap between consumers and retail possibilities, facial recognition activated systems, navigation and news ways of communicating,” he said. Curry saw Nintendo's success as evidence that the technology has been greatly underutilised. “As VR and AR technologies and implementations continue to improve and become more popular, more publishers will start to integrate them into their own apps and games," he said. 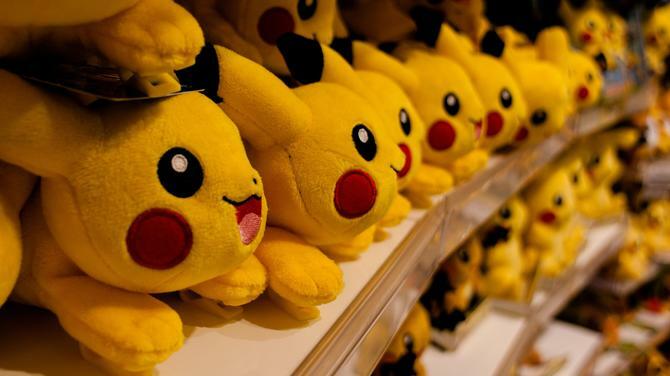 But as with any new entry into the mobile games sphere, Pokémon Go’s long-term effect will be dependent on improvements that keep users engaged, Curry said. “The nostalgia element to Pokémon Go cannot be understated,” he said. “Facebook’s Memories function and Twitter’s Throwback Thursday tradition are two examples of the social media titans already using this as an engagement tool. Francis said Pokemon Go’s success shows the importance of content strategy in opening up new and exciting possibilities for the uptake of AR. “The only thing holding AR back has been a lack of investment in content," he claimed. "When Nintendo decided to be one of the few to make that investment in an 'unproven' platform, it obviously saw it was not the platform's fault, just as no-one blames TV for a bad TV show. Frances also claimed the mostly PC-based digital boom of the last 12-14 years is growing stagnant. “Millennials don't want to be communicated with in the same way as Gen X or Gen-Y. You just can't underestimate the user, the consumer. They are faster than brands these days and much harder to influence than they used to be,” he said.